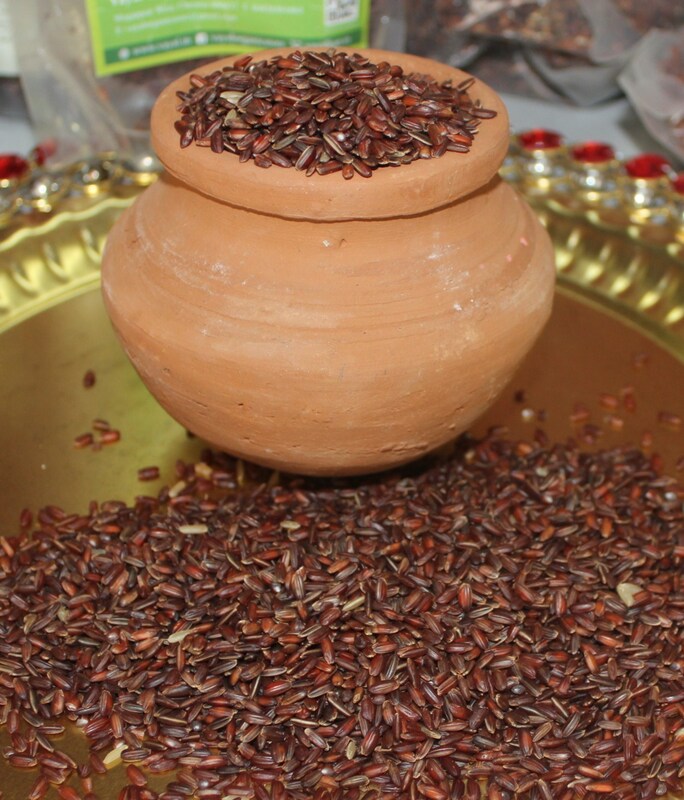 The traditional harvest festival of the Tamils – ‘Pongal’ is almost here. It falls on the 14th of January, 2017. Wishing everyone ‘Happy Pongal’ is the easiest way to wish on any occasion with a ‘Happy’ prefixed. But Pongal is the Day of the Farmer. It is the festival to respect the Farmer and his Cattle, for the relentless service in providing staple grains and millets to the society. It can also be the ‘Thanks Giving Festival of the Tamils’. We call it ‘UZHAVAR THIRUNAL’ in Tamil or ‘THE SPECIAL DAY OF THE FARMER’. 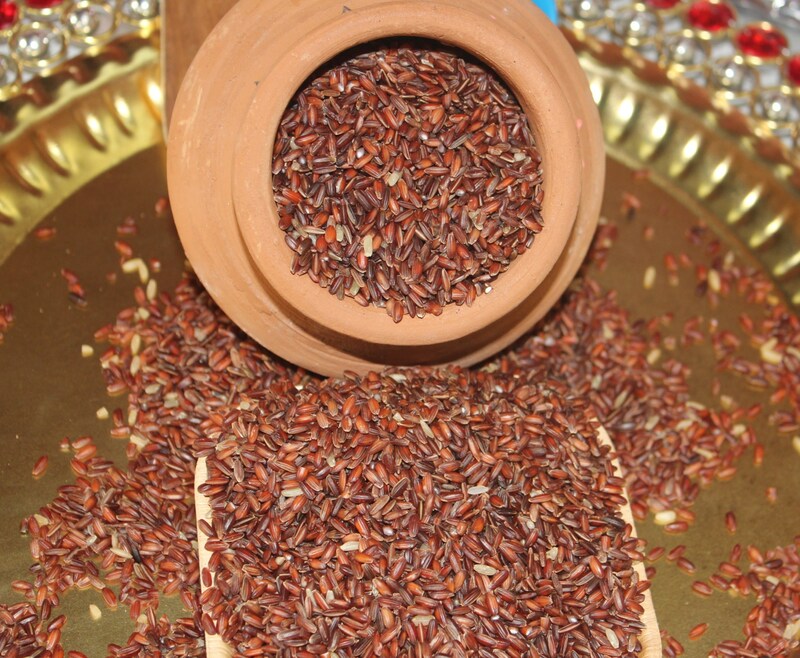 When one of our friends introduced us to a wide range of traditional rice varieties of Tamilnadu, what more special an occasion could I wait for, than a post on the Harvest Festival. Hence, I reserved it for Uzhavar Thirunal/Pongal. Though I have become a better user of millets of my state, and those special millets have become a regular feature of the breakfast table, these rice varieties were only reading material till date to me. Or more, a topic of discussion in Farmer’s Programmes across national channels. Unfortunately, not much historical or research information could be found in the net. 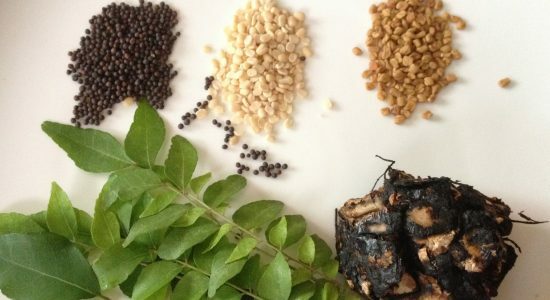 But fortunately, much has been written recently and much more information could be found through videos of specialized farmers and practitioners of traditional Tamil medicine. 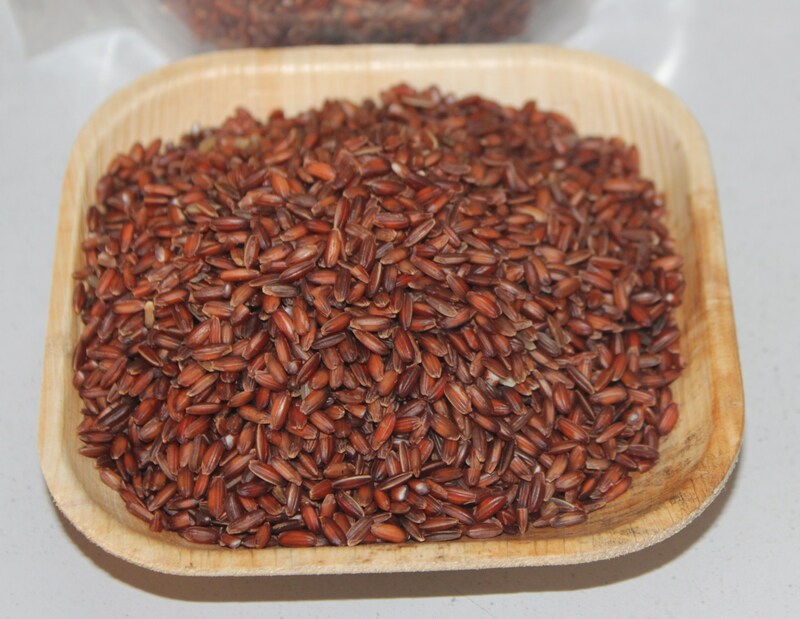 I could feel a sudden urge among media enthusiasts, to popularize these traditional grains – in a genuine interest to protect the grains from getting lost in the huge piles of junk/fast and processed foods in the super market and to protect those farmers whose livelihood has never been appreciated as the Farmers of the West. As two sides of every coin…the ever rising health issues is truly the factor of concern. 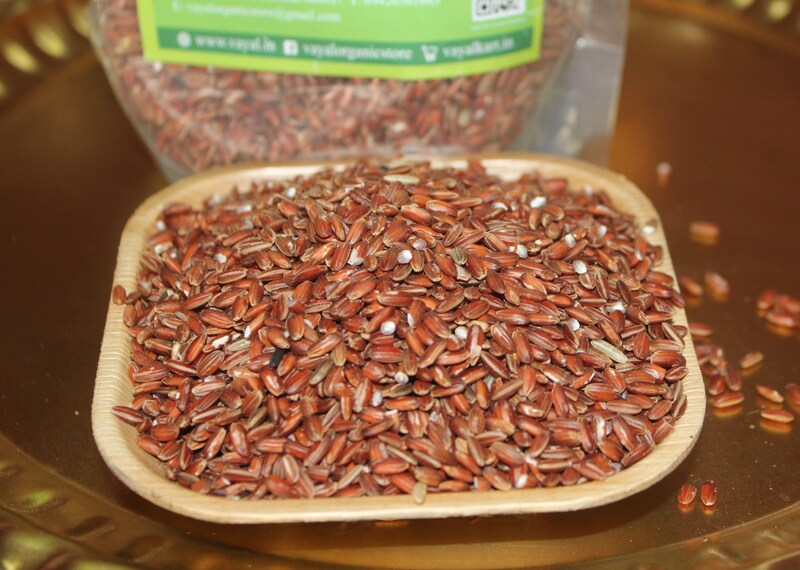 To protect the elite class and the section of the people who urge to reach the elite class from Obesity, Diabetes, Blood Pressure and a wide range of Life Style oriented diseases, there is this new rise in the introduction of traditional grains and millets. What is sown by the simple farmer is reaped as benefit by the trendy super markets with trendier gunny bags to store tradition at its grandest. 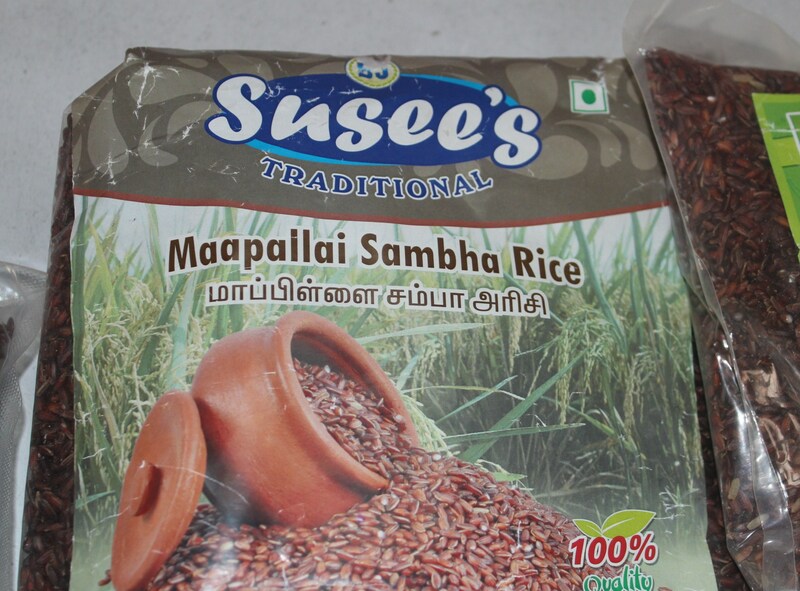 Coming to the grains that I was introduced to – A very special thanks to Mrs. and Mr. T.
Here are a few grains that have been part of the traditional rice eating habit of the Tamils across centuries and more. I have tried to present the nutritional facts of the specific rice variety with the link from which I could gather the information. For any interested reader – Just type the name of the rice, and one would come across the very few websites which explain the benefits. I wish to post the different foods that can be prepared from these grains in the near future… may be Paniyaram, Pongal, Idly or Dosai. 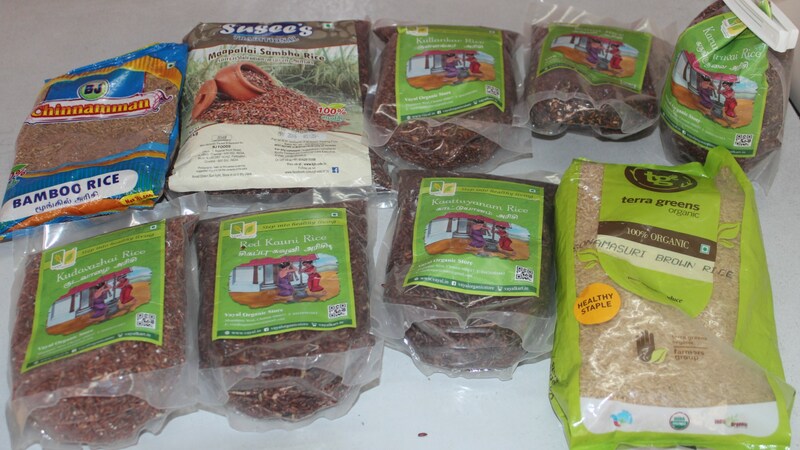 These are the different varieties of rice presently with me. ARISI is rice in Tamil language. 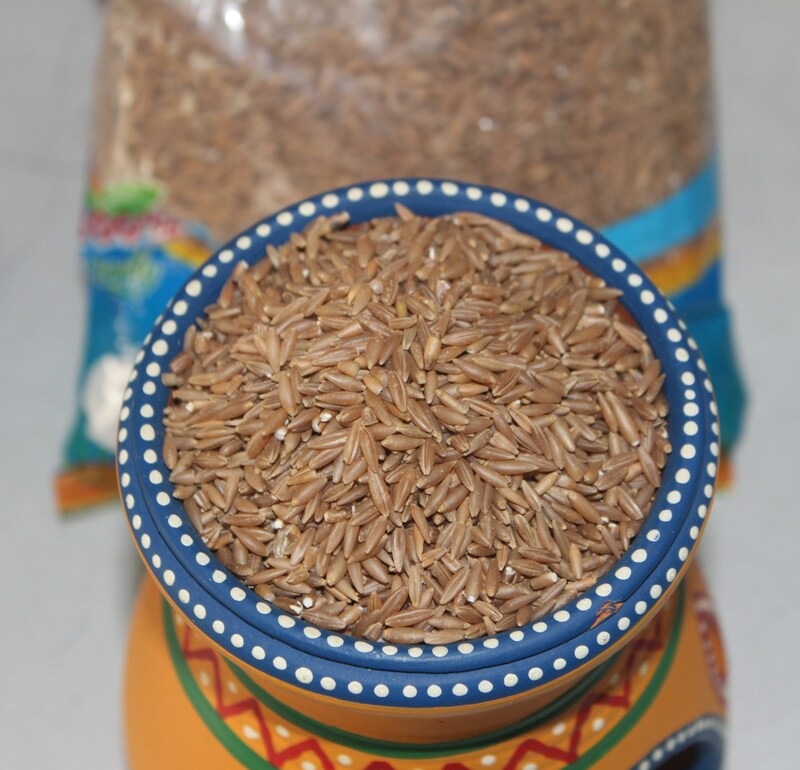 This rice is believed to increase bone strength and prevent bone related ailments. It contains anti-oxidants equivalent to blue berries. It cures the problem of loss of appetite in children and also rectifies nutritional deficiencies. 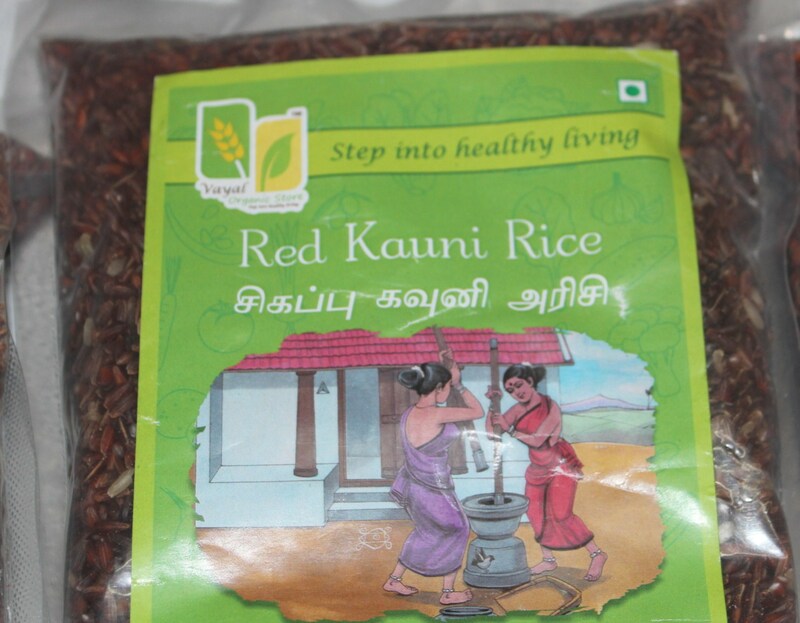 This is the red variant of the black kavuni rice. 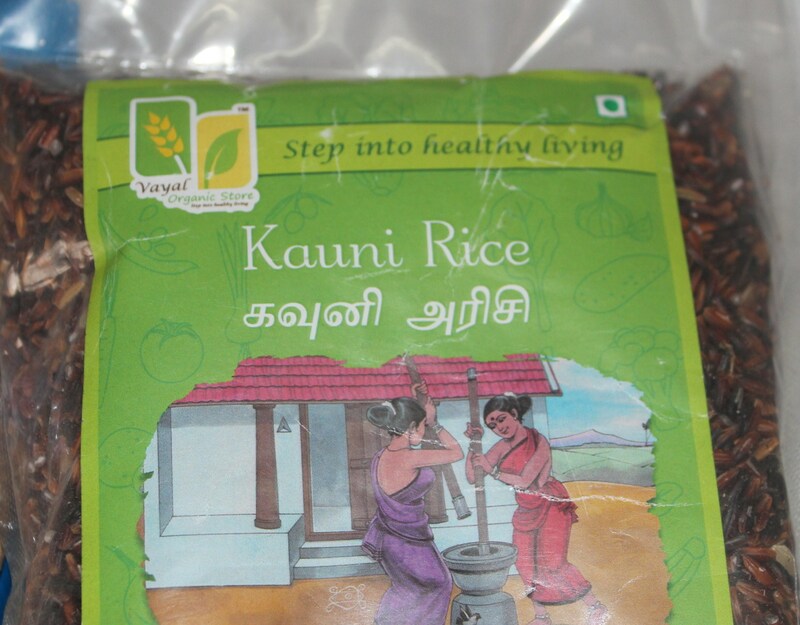 Karunkuruvai arisi is believed to control Diabetes and Cholesterol levels and is also a Blood Pressure regulator. It also improves the strength of the body. 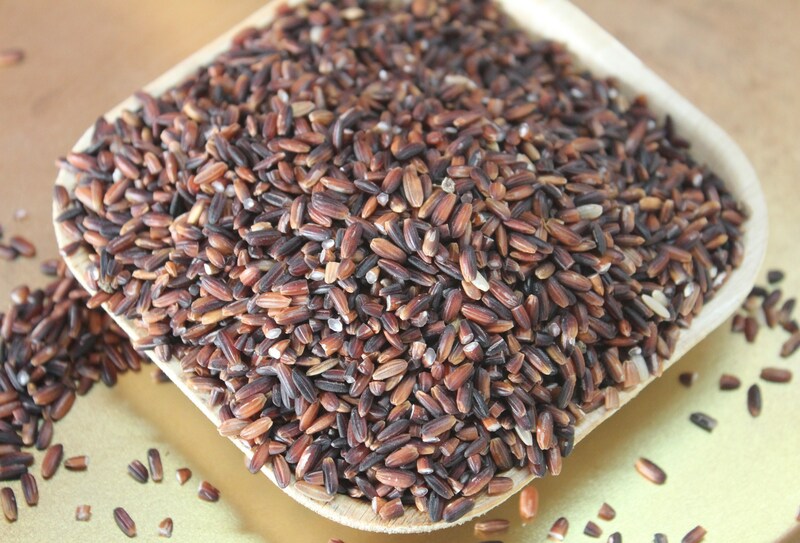 -are video links in Tamil that talk of the benefits of the grain. It is popular among the people of Kerala and is called Mulayari in Malayalam. 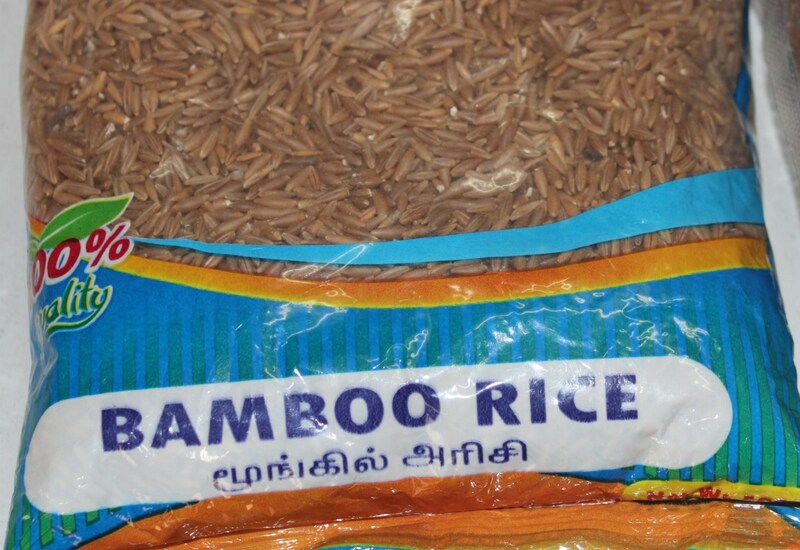 Bamboo Rice is collected from the seeds of the Bamboo flower. Some species of bamboos only bloom with flowers once in 40-60 years and often die after flowering. They compensate this by releasing huge amounts of flowers and seeds. These key points specify the health benefits of the grain. Studies conducted on the Kani tribes in Kanyakumari forests have shown that they consume Bamboo rice for its fertility enhancing properties. Higher protein content than both rice and wheat. 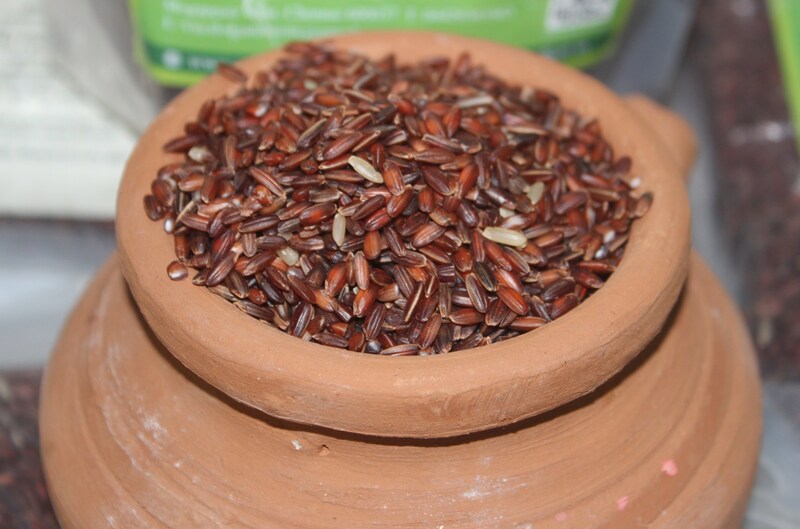 This rice possesses antioxidental properties, and has higher zinc and iron content than white rices. They also strengthen, regenerate, and energize the body, regulate blood pressure, and prevent skin diseases and premature aging. 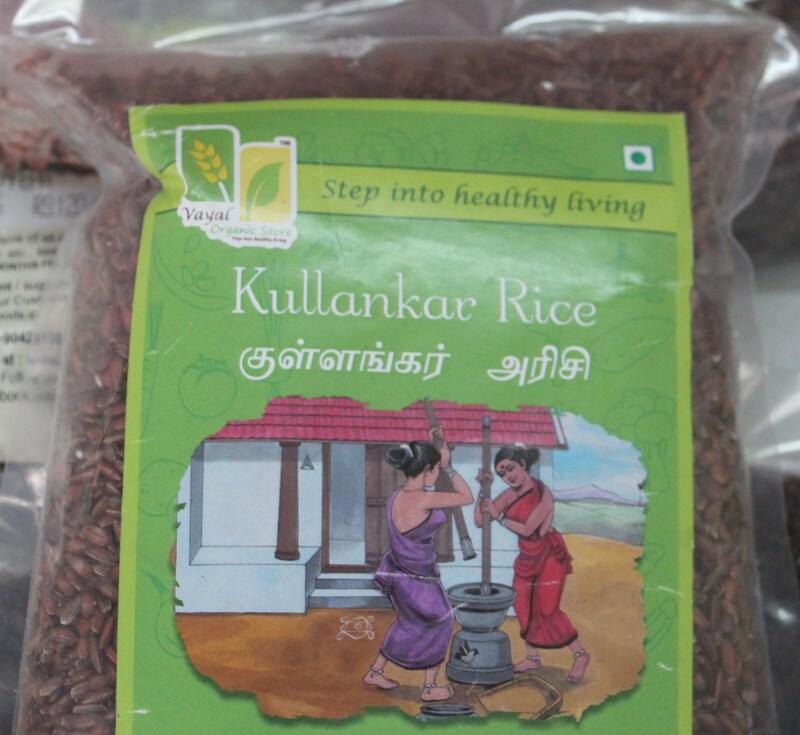 Kullakkar rice contains complex carbohydrates that are good for health. 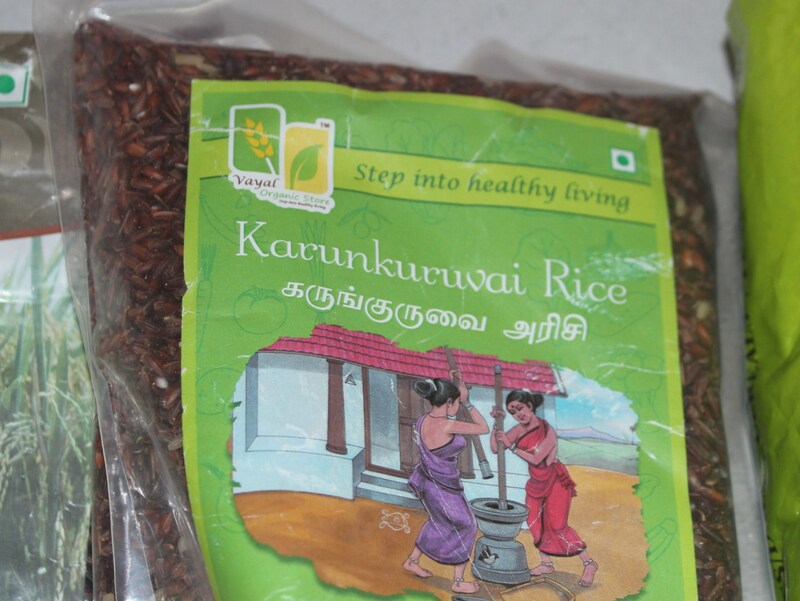 This rice is suitable to make idly, dosai and kanji /porridge. The link above shows a short interview with Farmer R. Jayaraman, who specializes in indigenous rice varieties of Tamilnadu. 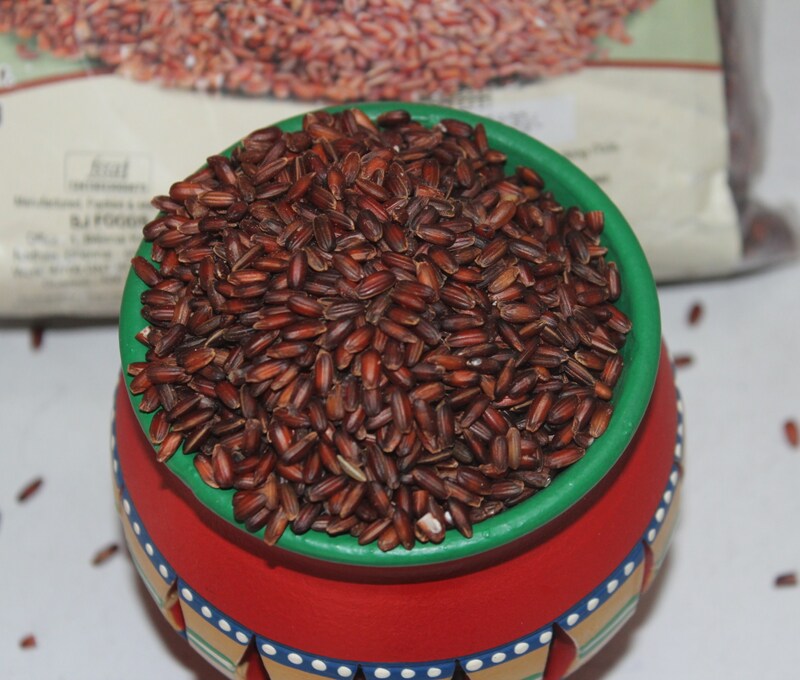 He says this rice plays an important role in the health of pregnant women and aids in easy child birth. The name has two parts – kadu meaning forest and yanai meaning elephant. As Sidha Maruthuvar (Doctor of Traditional Tamil Medicine) Dr. Rajamanickam says, the grain in the field grows more than 7 foot tall and even an elephant can disappear amidst the crop. 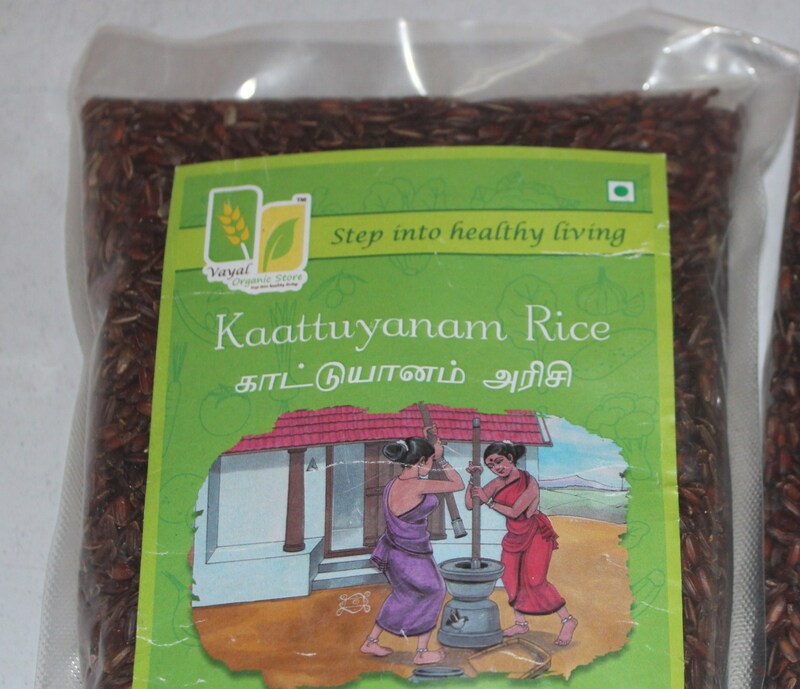 Hence the name to this indigenous healthy rice variety is Kattuyaanam. 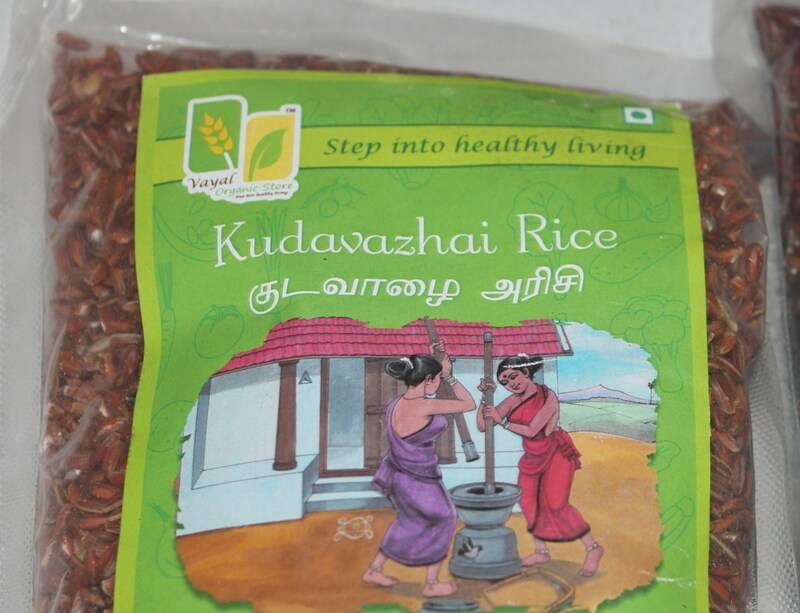 Idly, Dosai, Pongal or Kanji/Porridge can be made from this rice. Farmer’s Day Wishes to everyone. Uzhavar Thirunal Nalvazhthukkal. Thanks Abiram. Shall try for sure. Hi, I do not the know which rice helps in weight gain. But too much rice would contribute in weight gain. But, for a healthy weight, I would recommend kezhvaraghu or Ragi porridge with milk and jaggery for children. Kezhvaraghu/Ragi is considered healthy next to mother’s milk for children.